Filtering records: Filters allow you to view only the data you want to see. When you create a filter, you set criteria for the data you want to display. The channel at that point looks through the majority of the records in the table, finds the ones that meet your inquiry criteria, and briefly shrouds the ones that don’t. Filtering Records are useful because they allow you to focus in on specific records without being distracted by the data you’re uninterested in. For instance, if you had a database that included customer and order information, you could create a filter to display only customers living within a certain city or only orders containing a certain product. In our examples and explanations, we will be applying filters to tables. However, you can apply filters to any Access object. The procedure is largely the same. Click the drop-down arrow next to the field you want to filter by. We will filter by city because we want to see a list of customers who live in a certain city. Select and deselect items one at a time by clicking their checkboxes. Click Select All to include every item in the filter. If all items are already selected, this option will deselect all items. 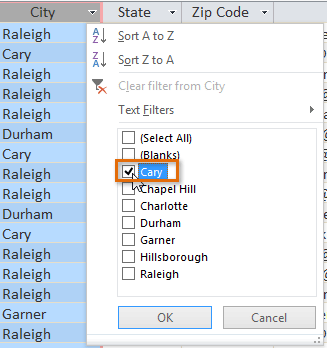 Click Blanks to set the filter to find only the records with no data in the selected field. Click OK. The filter will be applied. 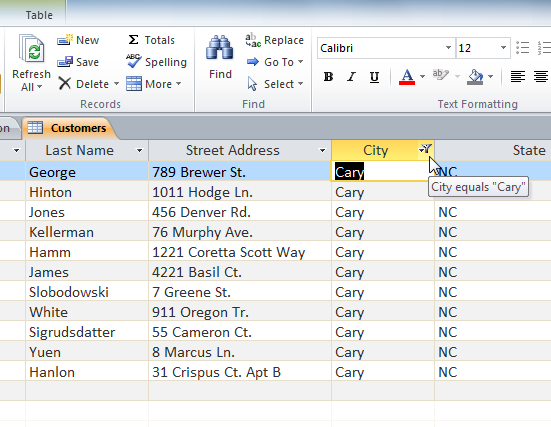 Our customer’s table now displays only customers who live in Cary. Toggling your filter allows you to turn it on and off. To view the records without the filter, click the Toggle Filter command. To restore the filter, click it again. Separating by selection allows you to select particular data from your table and discover information that is similar or dissimilar it. 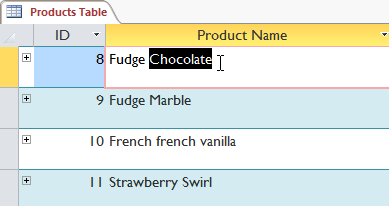 For example, on the off chance that you were working with a bread kitchen’s database and needed to scan for all items whose names contained the word chocolate, you could choose that word in one item name and make a channel with that determination. Making a channel with a determination can be more advantageous than setting up a basic channel if the field you’re working with contains numerous things. Select the cell or information you need to make a channel with. 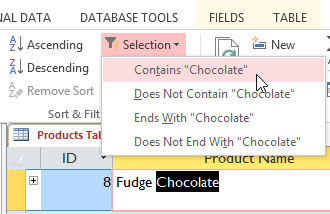 We need to see a rundown of the majority of our items that contain the word chocolate in their names, so we’ll choose the word chocolate in the Product Name field. Select the Home tab on the Ribbon, locate the Sort & Filter group, and click the Selection drop-down arrow. Contains includes only records with cells that contain the selected data. We’ll select this because we want to see records that contain the word chocolate anywhere in the title. Does Not Contain includes all records except for those with cells that contain the selected data. Ends With includes only records whose data for the selected field ends with the search term. Does Not End With includes all records except for those whose data for the selected field ends with the search term. The filter will be applied. 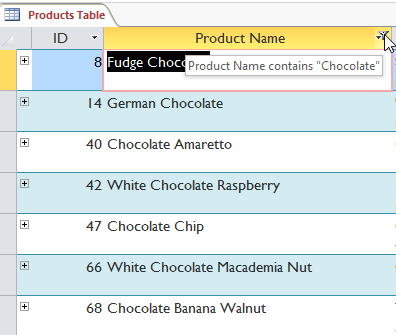 Our table now displays only products with the word chocolate in their names.